JPL has sent unmanned spacecraft under robotic control to all seven non-Earth planets as well as to Earth’s Moon. 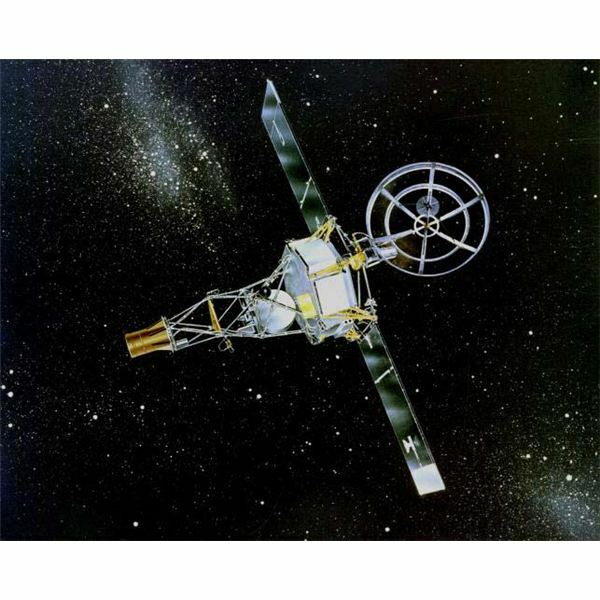 The Mariner 2 craft of 1962 (pictured at left; credit: NASA-JPL) became the first human object to visit another planet when it conducted a fly-by of Venus. Mariner 4 was launched two years later and was the first human object to fly past Mars. Mariner 10 was the first to visit Mercury and the first to use a gravity assist or "gravitational slingshot" by flying past Venus. Launched in 1977, Voyager 1 and Voyager 2 flew past all four outer planets, sending back data and images, before continuing in trajectories taking them out of the solar system. In 1989, Voyager 1 became the most distant human object in the universe. Viking 2, launched in 1975, became the first craft to successfully land on another planet when it touched down on Mars. Galileo, launched in 1989, arrived at Jupiter in 1995 and was the first artificial object to orbit the giant planet. Cassini, a collaborative project with the European Space Agency and the Italian Space Agency, arrived in orbit around Saturn in 2004. Its probe Huygens landed on Saturn’s large, mysterious moon Titan. The Jet Propulsion Laboratory, working under NASA, has made singular contributions to our understanding of the solar system. The most important planet in the solar system, the Earth, has been a major target of JPL projects. Craft built at JPL orbit around the Earth studying weather, geology, and oceanography, returning valuable data about our planet. SEASAT (pictured at right; credit: NASA) was the first satellite built to study the Earth’s oceans. Launched in 1978, it tested four new scientific instruments and laid the groundwork for future scientific satellites. The Solar Mesophere Explorer followed in 1981, studying the ozone layer. The Shuttle Imaging Radar was an instrument carried aboard Space Shuttles on numerous missions starting in 1981. It provided radar images of the Earth’s surface. JPL has also contributed a number of Space Shuttle payloads over the life of the NASA shuttle program. TOPEX/Poseidon, a joint project with the National Center for Space Studies of France launched in 1992, studied changes in sea level across the globe. 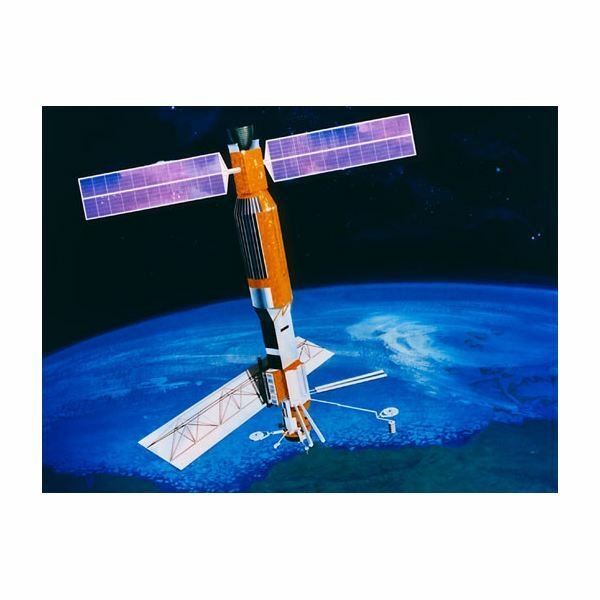 The Japanese satellite Midori, launched in 1996, carried the NASA Scatterometer, an instrument designed and built at the JPL to study ocean winds. After Midori failed in 1997, the instrument was replaced by an entire satellite, the Quick Scatterometer (QuikScat) in 1999. The Shuttle Radar Topography Mission, carried by the Space Shuttle Endeavour in 2000, collected enough data to compile the most complete topography of the Earth’s surface ever achieved. The mission is still processing data obtained during the 11-day flight. The JPL is concerned with more than just the local space environment. It has been involved in numerous projects to observe the universe beyond the solar system. After the launch of the two Voyager spacecraft on their interstellar mission, these projects focused on deep space observation. The Infrared Astronomical Satellite, a joint project with the United Kingdom and the Netherlands launched in 1983, was the first space telescope to observe the entire sky in infrared. Later, in 1990, JPL and the California Institute of Technology (Caltech) collaborated on the Wide Field and Planetary Camera to be used as the main "eye" of the Hubble Space Telescope. When an optical flaw made it impossible for the telescope to focus, JPL designed and built the Wide Field Planetary Camera 2, which fixed the Hubble’s vision when it was installed in 1993. 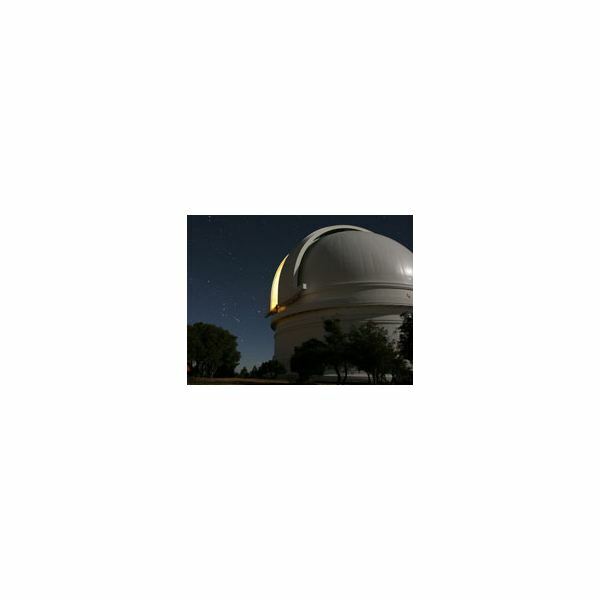 On Earth, the Palomar Observatory near San Diego (pictured at left; credit: JPL-Caltech), a joint project of the JPL and Caltech, made its astronomical first observations in 1998. Palomar was one of the first telescopes to make use of adaptive optics technology to correct for the blurring caused by the Earth’s atmosphere. The future of the JPL is bright as it continues to plan ambitious missions of exploration. The Kepler mission, set to launch in March 2009, is a telescope that will look for Earth-like planets around distant stars. The Wide Field Infrared Survey Explorer (WISE), planned for a November 2009 launch, is another space telescope that will map the entire sky in infrared, including the far infrared (bordering on microwave wavelengths). Space Technology 8, to be launched sometime in 2009, will test new technologies that will be used on future scientific missions. Most ambitious of all is the proposed Mars Mission, which if approved will attempt to bring a geological sample from Mars back to Earth. Learn the history and achievements of the Jet Propulsion Laboratory (JPL), an outstanding organization on the cutting edge of space technology. Now under the aegis of NASA, JPL started as a military organization but now works exclusively on space exploration and space-based earth science.